The Camaro was all-new last year, but with 2017 being the 50th anniversary of the Chevy sports coupe, there are big things in store. There's a new 1LE model, available with the V6 and V8 engine, and ready for track time. Future burnout kings will gravitate to the 650-horsepower Camaro ZL1 coming out later this year. The sport option that allows me to change gears with the paddle on the wheel. The problem I have had with this car is there is an engine noise when you start the car. Dealership said I was hearing things then said it was normal. After going direct to Chevy we were told it is an engine noise but there is no known fix. This really soured me on the car and why I didn't rate that I love the car. I do not like the seats in this car they do not recline enough. The car does drive nice and looks very sporty and that part I love. The carplay app gives me the hands free and allows me to play music from most any app. 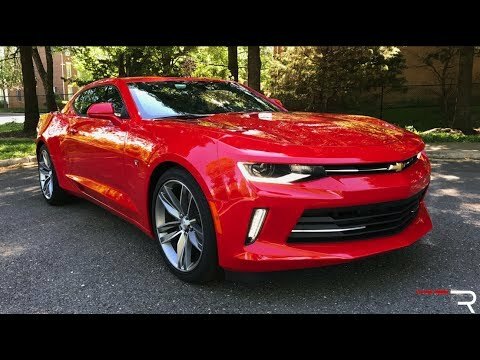 Chevrolet's Camaro is the right car for me, is it the right car for you? I love my car because it is very fuel efficient for a sports vehicle. I also like the inside design of the vehicle. The touch screen features are a nice touch. The problem that I have with the vehicle is that there is not a lot of space in the vehicle. Space for groceries and other things you may need to pack into your vehicle. Although it does not have that much space, I will say that I have a lot of comfort in my Camaro. I look forward to any and all updates that Chevrolet have planned for future models and makes. All 2017 Chevrolet Cruze models come with stability control, four-wheel antilock disc brakes, full-length side curtain airbags, front knee airbags, and front and rear side-impact airbags. Also standard is OnStar, which includes automatic crash notification, on-demand roadside assistance, remote door unlocking and stolen vehicle assistance. Every 2017 Cruze comes with Chevrolet's Teen Driver watchdog feature, which can be used to set certain parameters for secondary drivers such as teens or valets.